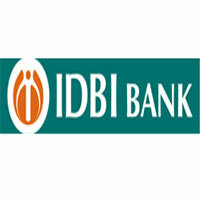 Public sector lender IDBI Bank’s part of workmen employees from class III / IV staff are proposing to proceed on a one-day strike on December 14, 2011. In this regard discussions are being held with the Association representatives. Recently, IDBI Bank has unveiled its new variant of pre-paid travel card 'IDBI Bank Global Currency Card'. The card has got similar features as IDBI Bank's existing prepaid travel card--World Currency Card (WCC)--which is issued on Visa platform.